On Monday, September 24th, just before 11 p.m. EST, the Full Corn Moon will peak in the night sky. Now’s the time to head out into the corn fields and harvest your golden goods—you know, if you’re into that sort of thing. Otherwise, step outside on Monday night and behold the beauty of September’s full moon. According to The Old Farmer’s Almanac, the Full Corn Moon is linked with the Northern Hemisphere’s autumnal equinox, which this year fell on September 22nd. 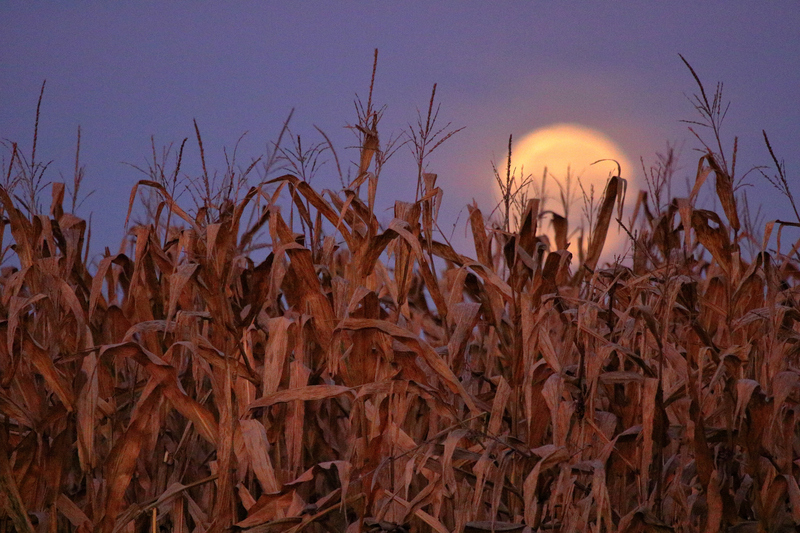 So not only does the Corn Moon signify the time for harvest, it also marks the official start of fall. During the equinox, which stems from the Latin words aequus, meaning “equal” and nox, meaning “night,” we experience an equal amount of daylight and nighttime as the sun passes directly over the “celestial equator.” Then, from September 22nd onward, our days get shorter and our nights longer until the winter solstice at Christmastime. Like many of the other full moons that occur each month, the Full Corn Moon is called a variety of different names by different Native American tribes. And before you ask, yes, a “blue corn moon,” as referred to in the song “Colors of the Wind” from Disney’s Pocahontas, can be a thing if September sees two full moons within its 30 days. The second, and therefore “blue,” moon could technically be called a blue corn moon. Call September’s full moon what you will—it will be an awesome sight to behold (as all full moons are, in our opinion).